Dalmia was admitted to Apollo Hospital after his health deteriorated due to age-related issues. 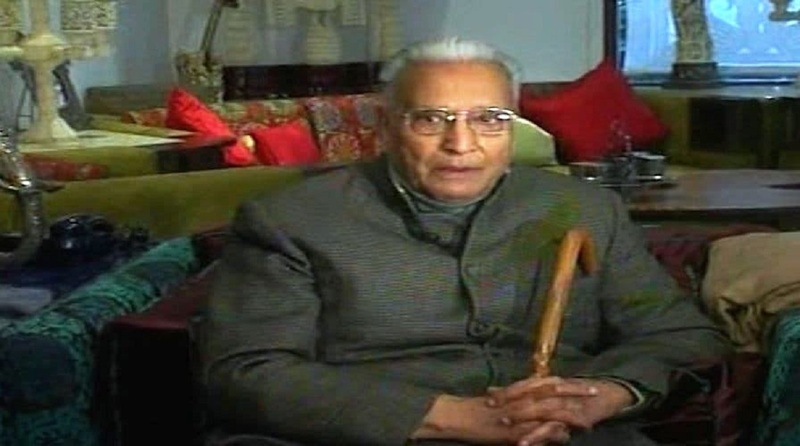 Former Vishwa Hindu Parishad (VHP) President Vishnu Hari Dalmia, one of the three major exponents of the Ram Janmabhoomi agitation, died on Wednesday at his residence here, a statement said. He was 91. A renowned industrialist, Dalmia breathed his last at 9.38 am. at his Golf Links residence. “Vishnu Hari Dalmiaji peacefully moved on to his heavenly abode today morning. His cremation will be held in the evening at Nigambodh Ghat,” the VHP said in a statement. Dalmia was admitted to Apollo Hospital after his health deteriorated due to age-related issues. He was brought back to his residence on January 13 from the hospital, the statement added. He was the trustee of the Shri Ram Janmabhoomi Nyas and member of VHP’s Kendriya Margdarshak Mandal. With veteran VHP leaders Ashok Singhal and Giriraj Kishore, Dalmia played a key role in the Ram Janmbhoomi movement.